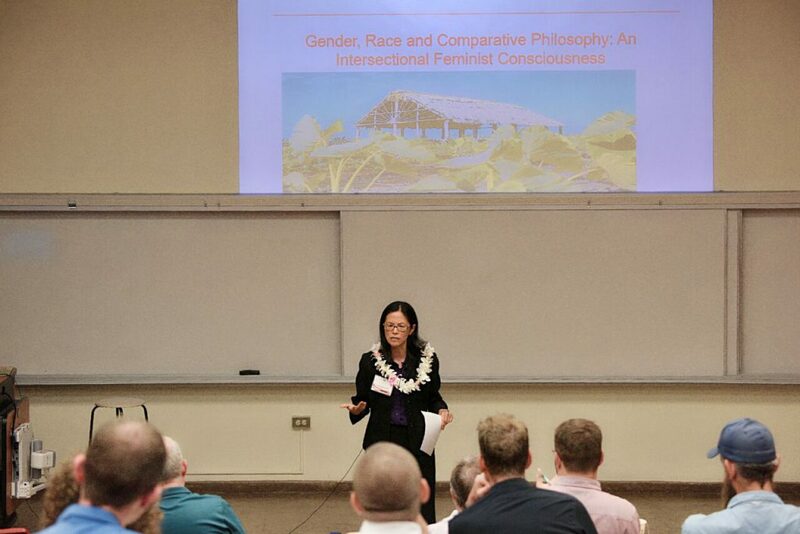 UH West Oʻahu’s Dr. Li-Hsiang Rosenlee was a keynote speaker at the 4th International Conference on Interactivity, Language & Cognition, held recently at the University of Hawaiʻi at Mānoa. The conference attracted participants from as far away as China, Germany, Denmark, Japan, the U.K., the Netherlands and Finland in August. The conference was co-organized and co-sponsored by the National Foreign Language Resource Center and the University of Hawaiʻi at Mānoa Department of Second Language Studies. Tagged Humanities, keynote, Li-Hsiang Rosenlee, philosophy, The University of Hawaiʻi-West Oʻahu, University of Hawaii at Manoa, www. Bookmark the permalink.